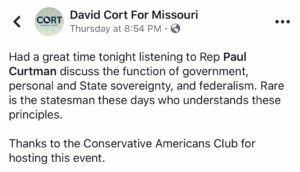 The Conservative Americans Club welcomed Missouri Representative Paul Curtman from St. Louis, District 109, as a guest speaker on Thursday, February 22nd, at 6:30 pm. 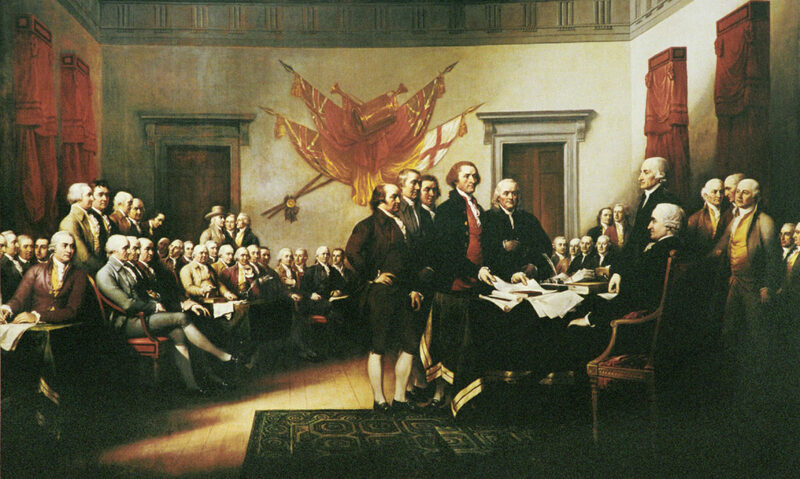 Rep. Curtman spoke on the subject of: The Proper Role of Government – as Articulated in the Declaration of Independence, Natural Rights, and State Sovereignty. 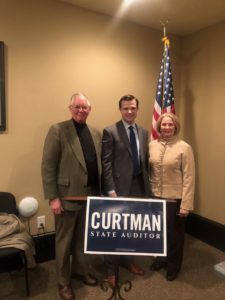 Rep. Curtman is a candidate in this 2018 election year for the office of Missouri State Auditor. 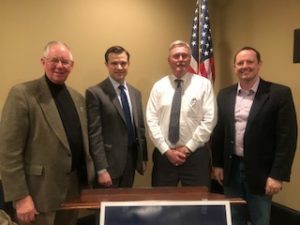 We are so thankful for Rep. Curtman’s visit with the Conservative Americans Club on Thursday, February 22nd. His presentation was inspiring. Hopefully, if he visits again, you will have an opportunity to attend.